President Trump is praising Fiat Chrysler for moving out of Mexico. The only problem is, that's not what's happening. Fiat Chrysler has six plants in Mexico, and none are closing. On Sunday, the president tweeted praise of the automaker, which is shifting production of some pickups from Mexico to a U.S. factory. But his tweet overstated the move. "Our economy is better than it has been in many decades. Businesses are coming back to America like never before," he tweeted. "Chrysler, as an example, is leaving Mexico and coming back to the USA. Unemployment is nearing record lows. We are on the right track!" It's true that Chrysler will move some operations from Mexico to Warren, Michigan. It will start building the Ram heavy-duty truck there in 2020, a move that will add 2,500 jobs to the plant and require an investment of $1 billion. 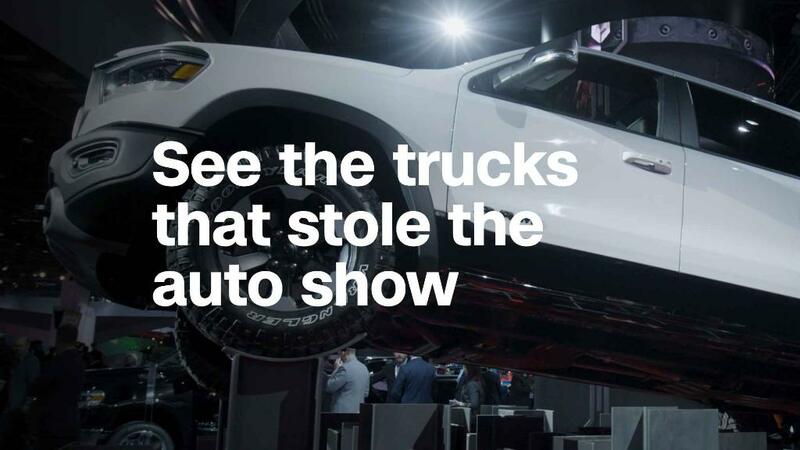 But Fiat Chrysler said it is not shutting the assembly plant in Saltillo, Mexico, that currently builds the trucks. Instead it will use the plant to build commercial vehicles that it will sell around the world. --An assembly plant in Toluca that builds the Dodge Journey, Fiat 500, Fiat Freemont and Jeep Compass. --Two engine plants in Saltillo. --Two stamping plants, one in Saltillo and one in Toluca, that make parts for car bodies. This isn't the first time that an automaker has shifted some operations to the United States from Mexico during Trump's presidency. Toyota recently announced plans for a joint plant in Alabama with Mazda to build its Corolla compact car. It had previously planned to shift production of that car from a Canadian plant to one in Mexico. Ford also announced in January 2017 that it was scrapping plans for a new car assembly plant in Mexico. But the reason was the lack of demand for the small cars, not a decision to build the cars in the United States. The automaker plans to build only its more profitable SUVs and trucks at its U.S. plants. Car manufacturers are concerned about Trump's threat to make major changes to NAFTA and impose a large tax on vehicles assembled in Mexico for sale in the United States. All major automakers make some of their vehicles for the U.S. market in Mexico, and just about all cars assembled at U.S. plants use parts made in Mexico. But while several automakers have stepped up their U.S. manufacturing plans, Ford is the only one to drop plans for a Mexican plant or close one. The White House did not have an immediate comment early Monday on the president's tweet. Fiat Chrysler spokeswoman Jodi Tinson would not comment on the president's tweet, but said that the company's plans to keep its Mexican plants open have not changed.